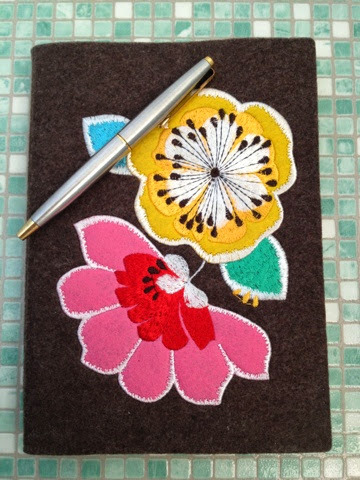 One of the things I love about stationery are the pens or, more specifically, Fountain pens. I love the idea of the ink, the sound of the nib on the paper. The colours of ink available...I flirted with purple and turquoise and green. My first fountain pen was bought by my Grandparents when I started Secondary school. It was a plain Parker fountain pen that could take ink cartridges or be used with an ink filler and a bottle of ink (not recommended for a clumsy 11 year old). You were expected to write in pen now not in pencil as you’re ‘grown up’ (times have changed they are encouraging children in BigR's school to use pens so they don’t have to press as hard to make a mark as you would with a pencil!). This pen saw me through my GCSEs and my A-Levels. Came to Uni with me and through my PhD. I had the nib and barrel replaced about 2 years ago when it had to be sent to the pen museum (oh the shame) for replacement parts (OK, it is 30 years old). So when I finished my PhD, I was surprised but so pleased to be given a pen and pencil set by my PhD supervisor. This is the grown up Fountain pen – it signed the papers for our house, it signed my lectureship job contract, it’s signed hundreds of Christmas cards from us both not just me. Although on a daily basis I’m using whatever lidless ball point pen I happen to have at the bottom of my handbag, I love both my pens. I‘m still using cartridges though - more than a bit clumsy at 41 too! You’ll find their Precious Things there. 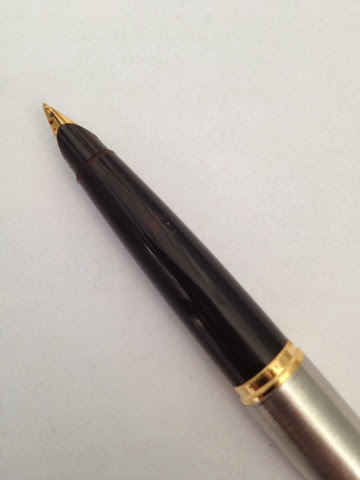 Oh this lovely, and you have reminded me of my first Parker fountain pen, that I had when I started secondary school. How wonderful that you still have it all those years later. Brilliant post, N! What a lovely post. I was given a fountain pen as a present for being a bridesmaid when I was 9. It is 'child sized' so much too small for my enormous hands now but I wouldn't part with it or the world. I also have a (rather expensive) fountain pen that was a present from my husband years ago and that saw me through my mature student years of both exams and revision. I make a point of writing birthday and Xmas cards in proper ink though I confess that on a daily basis I use a 'non-stop' pencil. I quite like ink stains too. Strange, but there's something artistic and creative about them. Great idea for a post. I'm looking forward to the November one! Fountain pens are so nice. I had one that belonged to my dad when he was in school. My husband loves pens and inks and is sort of a collector of them, you could say. I use ballpoint pens myself but I do have a preference for purple ink when I can find it. I love fountain pens. 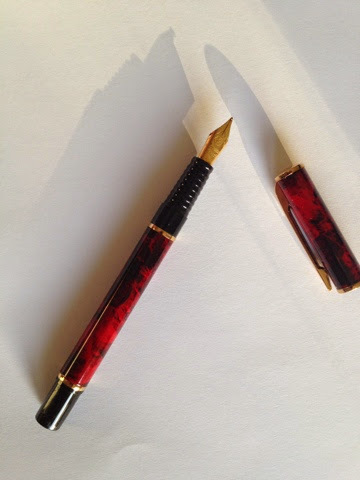 I used a Parker 51 when young, until its innards perished, and then a Lady Shaffer (spelling?) and not I use various Lamy Safari pens, in assorted colours but with the medium nib which is quite broad. Love them! My current favourite is canary yellow!